The first five borders on this first page were ones I created using Serif's CraftArtist. This is an easy program to get to grips with if you'd like to have a go at making your own borders – a download link can be found at the end of the article. I've given instructions on how to approach certain elements if creating your own from scratch is something you'd like to try. If you want to use our borders how they are, then simply click on the appropriate download link — each file is in JPEG format so you can resize it and print in just about any program you wish to, for free. 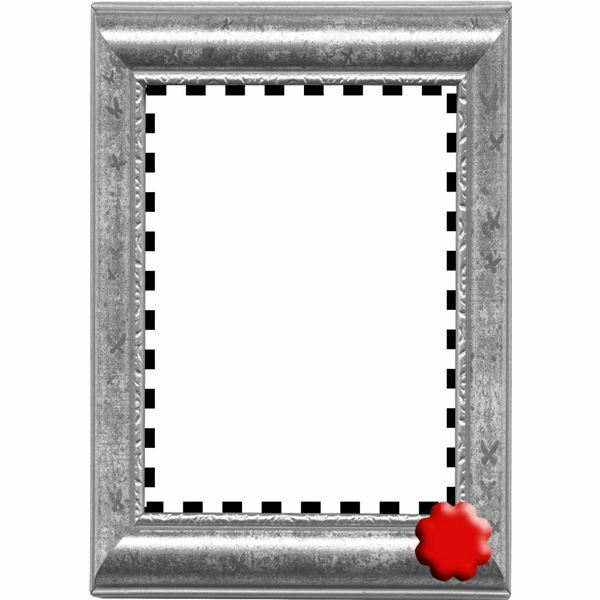 This border gives the illusion of the certificate already being framed — adding to the grandeur — while at the same time retaining a contemporary edge with the inner black and white checked border. The wax seal at the bottom was created using the quick shapes drawing tool in Serif's CraftArtist. I then color-filled it to a conventional wax seal color, and added a material depth to make it look more realistic. The wax seal is a perfect place to put in a date or maybe a company logo, depending on the occasion. 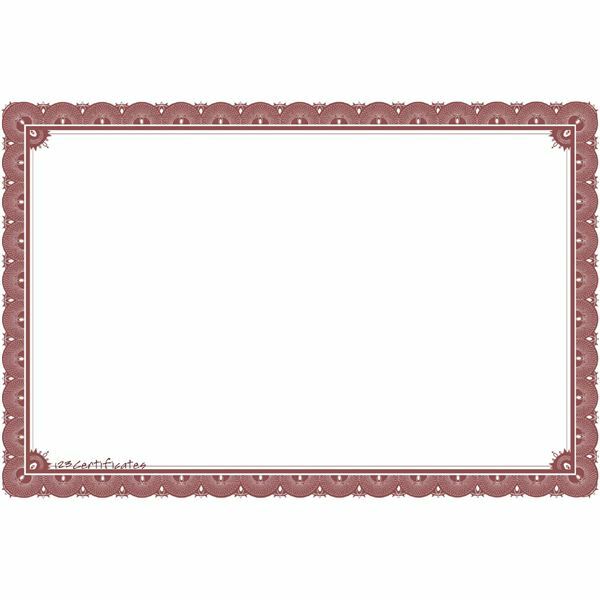 The neutral theme to this border makes it a great choice for almost any occasion you need a certificate for. 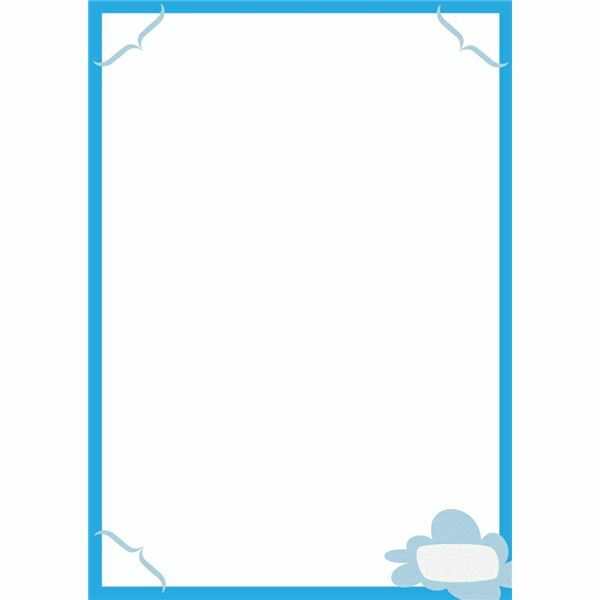 The frame was created easily by simply drawing a large rectangle and expanding the line width, using a blue line color. The corner detailing was a simple bracket embellishment, that was tilted accordingly to fit into each corner. The blue cloud at the bottom was another embellishment sized as appropriate — there is an irregular white rectangle in the middle so you can complete the date the certificate was awarded. 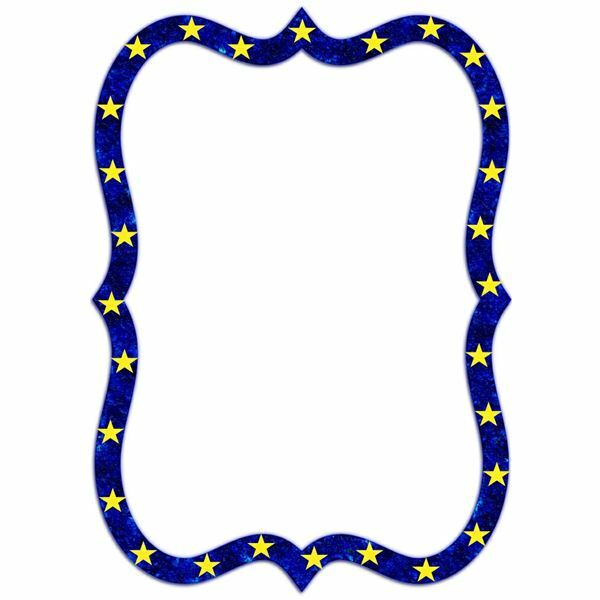 Worthy of Harry Potter himself, this simple but shapely certificate border is ideal for a child's certificate of achievement, or even to show your appreciation to an employee for being a "star" member of your team. The border has an effect applied to it to add some texture, with quick drawn stars applied to the outside. You could add a larger star to the bottom of your certificate to fill in a date if you wished as well. Or heighten the magical theme with some added detail in the form of medieval or Gothic dingbat images. This free certificate border with a daisy theme makes a stand out choice for a gardening company or florists to use when creating a certificate of appreciation. The fun image of the daisy also doesn't exclude its use from more junior uses either – an award for a student being "green" or as recognition of helping in the school's garden are all great projects this border could be used with. Add a bee image and you have a great spelling bee certificate. 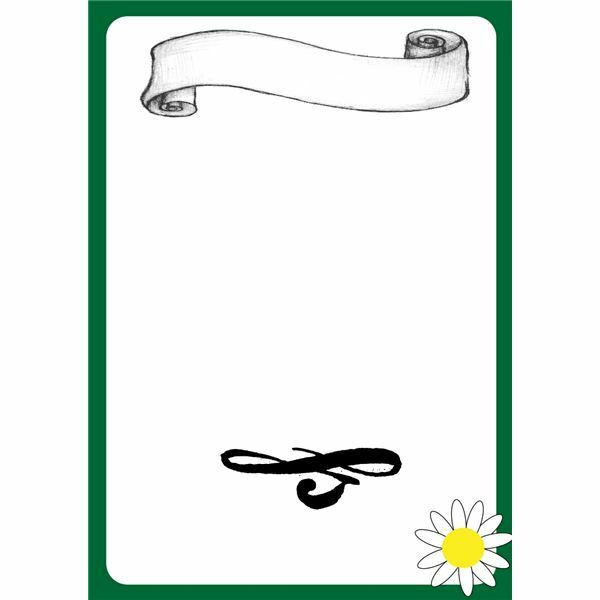 The scroll and swirl elements were taken directly from CraftArtist's embellishments and letters folders, whereas the daisy was created using the drawing tools. A series of ellipses copied and rotated around the yellow circle center was all that was needed — the center of this daisy has been purposely oversized so you have room to write or type in a date. For a traditional take on the certificate, this border certainly fits the bill. 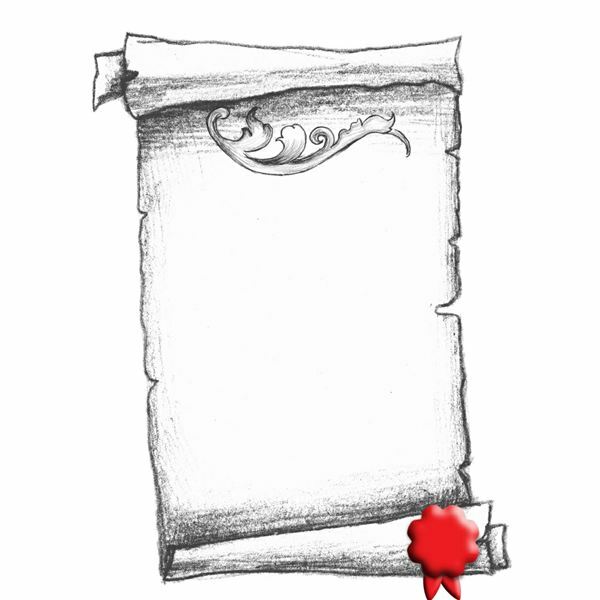 The tattered scroll adds an air of authenticity and detail, without getting in the way of the majority of the white space, which can be used for the pertinent details of the certificate wording. The swirl element is a Serif taken from CraftArtist, and I added this to the top to add a bit of grandeur and style. The wax seal at the bottom was a simple cloud drawn shape, filled-in red with a material depth added to it, to look more 3D, and the protruding ribbon tails were created in the same way, but this time using the shield drawing shape and stretching it. 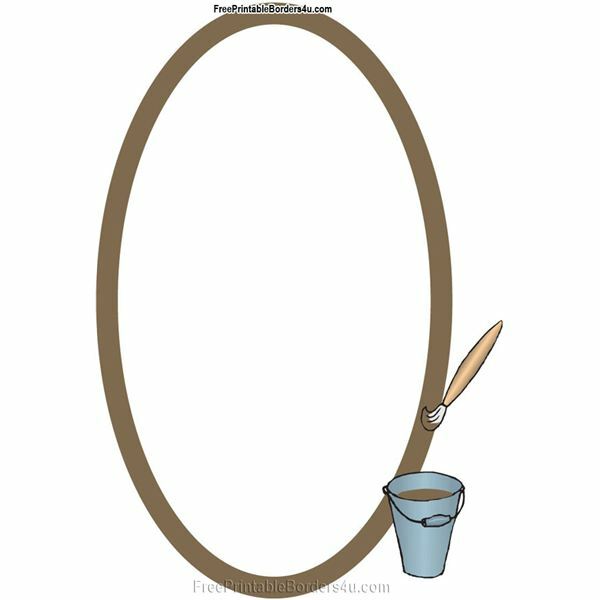 Perfect for recognizing any budding artists among your students, or as a certificate of appreciation for a member of staff in your decorating company, this unusual oval shaped border is pretty versatile. The one drawback of downloading borders from this company is that you get "Free Printable Borders 4U" on your certificate — once in a small font at the top of the border, and once at the bottom as an unobtrusive watermark. Still, for free it's hard to argue and there is still plenty of space in the majority of the frame to create a stand out certificate. Understated border designs can often be the best when creating a certificate, especially if it's a respectful certificate of appreciation to an employee you are after. There are many more elegant designs like this one available from 123 Certificates, including a portrait example of this design. There is only one very small mention of the company to the bottom left of the certificate — certainly nothing that a recipient of such a grand certificate is likely to notice. 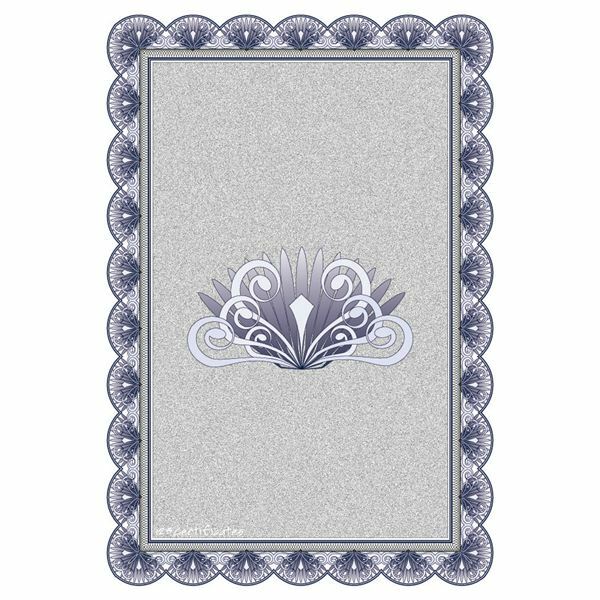 This ornate blue border is certainly one of the most striking examples you are likely to find, with its art deco detailing around the edge, and the superb embellishment in the center. It's all made purposely muted though, so once you get typing in your details, you won't have to worry about the background getting in the way of the information. A classic design like this would suit most of your certificate needs, especially for an employee of the month award. If you wanted to add a white text box over the top then this would be easy enough to do even in a simple software package. Or why not import it into your DTP program and add further detail, such as a 3D effect wax seal, as I did with a couple of the designs on page one. There are a number of certificate borders to be had for free, but not a great number of them take into account a young child's theme. 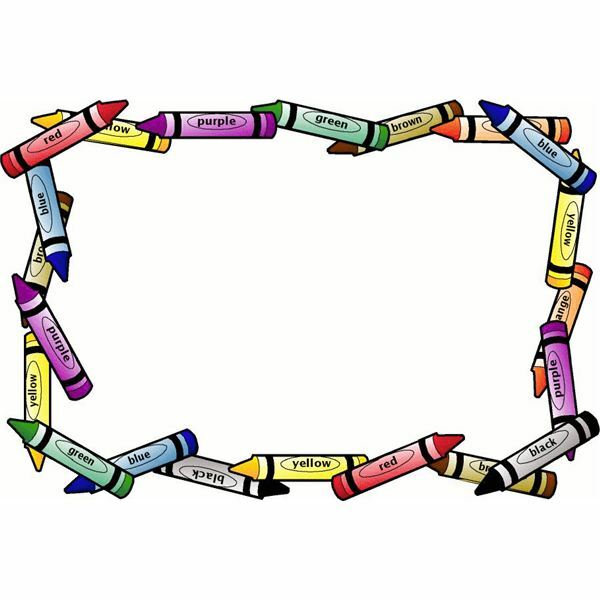 This crayon border is bound to raise a smile, when used in a certificate to present to a preschool or kindergarten student. If you click on the image to get a larger view, you will see how amazing a certificate printed with this border can look. 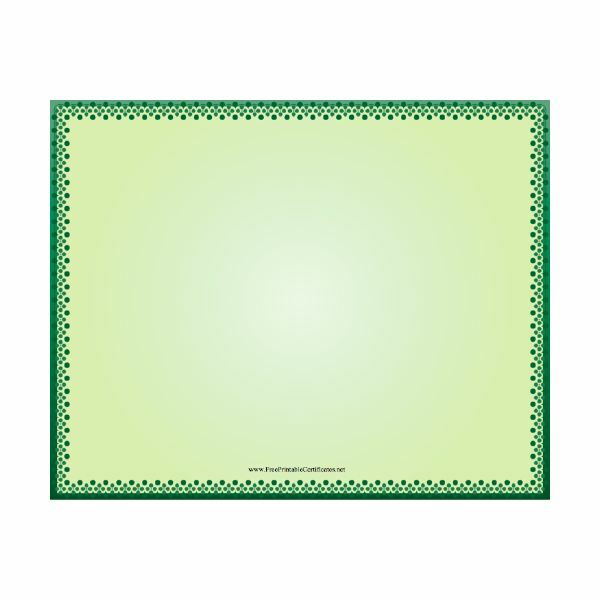 For an elegant and simple border for your certificates, this green dotty design is a classic choice. There's nothing remarkable about it, but then again it should be the wording that does the talking when you present a certificate anyway — the pale green background does add a certain something different to the usual white without using up too much of your ink too. This company offers a PDF version of this border for free to use "as is" or you can pay the small five dollar fee and get it in Word format, allowing you to customize it to fit your needs. All of the images on page one remain copyright of the author. You are permitted to use these images for non-commercial purposes only. Click here, to download a free version of the software used to create these free borders.